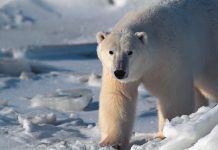 Home Facts Do Polar Bears Cover their Nose? 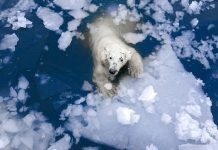 Yet another myth about polar bears is that they cover their nose while hunting seals. It just doesn’t stand to logic for the statement isn’t only bizarre—it’s highly contradictory. 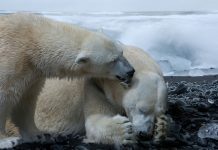 Why would a polar bear cover its nose when it relies on its remarkable sense of smell for hunting? 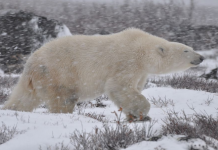 No wonder Dr. Ian Stirling, a leading polar bear scientist, used telescopes to actually observe polar bears in the Canadian High Arctic as much as 24 hours a day. He never reported anything like that. Let’s see how do polar bears cover their nose during hunting. Let’s say, for the sake of argument, polar bears really cover their nose. 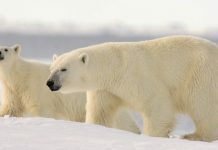 If that is so, then how can polar bears possibly walk or stalk on the remaining three legs when one of their paws covers their nose for an extended period. Most, if not all, polar bear hunts cover as much as 50 – 200 meters so polar bears just cannot afford to do that. 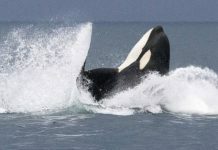 In fact, they can either stand still whilst holding one of their paws over their nose or just go after the prey. 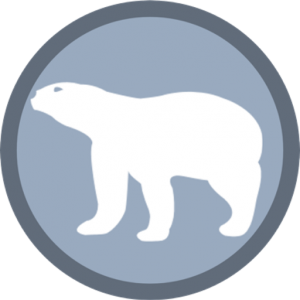 Many researchers and scientists have quite deeply studied the polar bear hunting behavior. None of them came up with facts such as these.